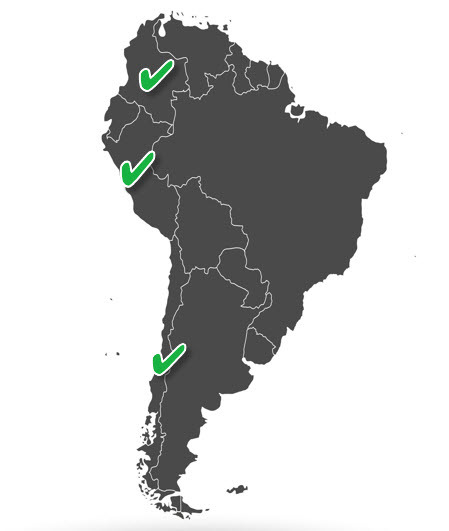 That triad along South America’s western coast each accomplished something this year that few other nations have managed: Each increased its purchases of U.S. dairy products. In fact, not only did they buy more U.S. dairy, they did it with gusto (with dollar sales rising 17-34 percent) in a very challenging market environment. In terms of dairy import needs, the three countries are similar in some ways but distinct in others. All three are price-sensitive buyers, so low international dairy commodity prices have helped drive overall dairy purchasing this year. Colombia holds some of the best potential for U.S. export growth, as USDEC explored in a 2014 report on the nation’s cheese and ingredient sectors. With just under 50 million inhabitants, it is the second most populous nation on the continent. It boasts a highly urbanized, young-skewing demographic—both positive factors for increased dairy consumption. And its economy appears to be on a path to sustainable growth. Its food industry is expanding to meet demand, creating opportunities for both dairy ingredients (milk protein, whey, lactose and milk powder in dairy, confectionery, bakery and meat processing) and finished products (cheese in pizza making). The evolution of all three countries suggests rising demand for protein, particularly as food and beverage manufacturers expand their knowledge base for whey proteins and milk protein concentrate. All three countries also promise solid growth in cheese demand due to double-digit expansion in the foodservice sector—burger chains, pizza restaurants, sandwich shops, and crepe and ice cream chains. More growth, in other words, is in the cards. At least four factors bolster U.S. positioning in the markets. Proximity. 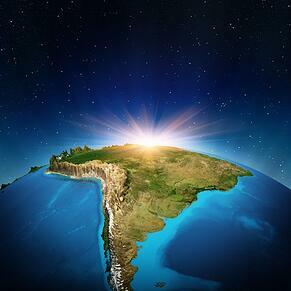 U.S. suppliers can deliver product with less lead-time than suppliers from Europe, Oceania or even nearby dairy exporters like Argentina and Uruguay due to the land barrier created by the Andes. Product options. The expanded U.S. portfolio is bolstering U.S. opportunity in categories where the United States had not previously played. 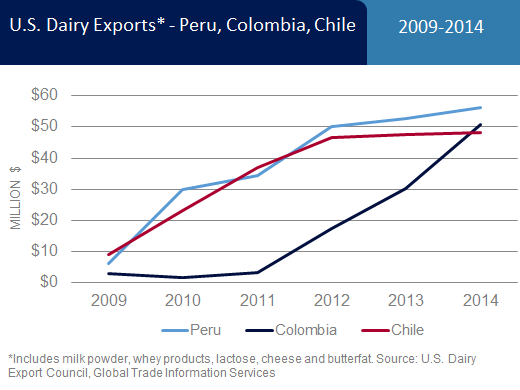 For example, U.S. whole milk powder (WMP) exports to Chile, Colombia and Peru grew 38 percent in the first half of 2015 after easily setting a record (4,152 tons) in 2014. Free trade agreements (FTAs). The European Union (EU) has free trade deals with all three nations and New Zealand has one with Chile, but U.S. FTAs preceded those agreements and have helped U.S. suppliers remain competitive. Such factors have led to solid defense of the markets at a time when the EU and New Zealand are aggressively combing the world for alternatives to China and Russia. On a volume basis, according to Global Trade Information Services, U.S. exports of major dairy products to Chile, Colombia and Peru grew a combined 89 percent in the first six months of 2015, and U.S. share of dairy imports jumped significantly in each market. USDEC is looking to help lift those numbers further by creating the first foreign-language microsite of its customer-focused ThinkUSAdairy.org in Spanish. The site, presently in development, will provide information on U.S. capabilities, U.S. dairy ingredient use, dairy nutrition and U.S. suppliers to encourage greater dairy consumption and strengthen the identification of the United States as a committed, reliable and knowledgeable supplier.